If you’re an older adult looking for a great place to live with both independence and support, our housing options offer the best of both worlds: the privacy of your own comfortable New York apartment, with easy access to healthcare and services when you need them. 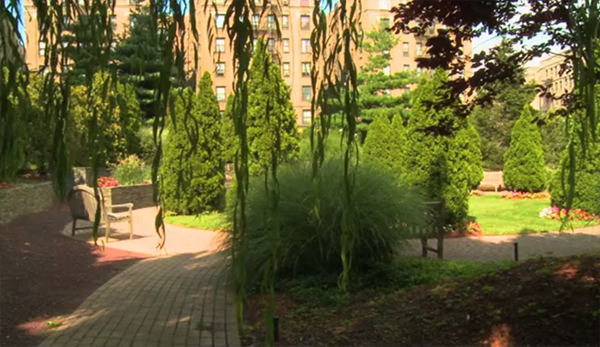 Our Bronx facilities are bordered by beautiful green garden spaces. The staff here really cares. They encouraged me to push myself, stay positive and make new friends. The right senior apartment is not just a place for New York elders to live; it’s a place to connect and thrive. Our senior housing in five great buildings — Kittay House, Riverdale House, the Kenneth Gladstone Building, University Avenue Assisted Living, and Weinberg Gardens — is built with the belief that community is better. Live independently, while receiving support you can’t get while living on your own: three healthy meals a day and access to a variety of supportive services to assist with your care and personal needs. All that, plus a community of friends and peers right in your building, with shops and services conveniently close. Learn more about these senior housing programs. Tours are available seven days a week. Please call or email us.